With negotiations stalling at the SAARC, it’s time for India to focus on the Bay of Bengal. It has been more than thirty years since the South Asian Association for Regional Cooperation (SAARC) was formed to promote regional economic cooperation. However, it has made only middling progress. Each time, the SAARC Summit has ended with relative disappointment, as was the case in Kathmandu this year. Like previous summits, it became a hostage to India-Pakistan bilateral issues. How long can SAARC wait for India and Pakistan to sort out their bilateral issues and push forward for the broader agenda of regional economic cooperation? Given the current state of India-Pakistan relations, it is unlikely that Pakistan will agree to even a minimal set of economic cooperation arrangements within the SAARC framework, as was evident in Kathmandu when it refused to sign the multi-modal road and rail transport agreement. The situation is not expected to improve unless bilateral talks at the foreign secretary level are resumed and some concrete outcomes are achieved. In this context, the Bay of Bengal Initiative for Multi-Sectoral Technical and Economic Cooperation (BIMSTEC, consisting of Bangladesh, Bhutan, India, Myanmar, Nepal, Thailand, and Sri Lanka) will be a viable option for India to forge an effective regional group to promote broader economic integration. BIMSTEC was formed in 1997 and in 2014 its secretariat was established in Dhaka. It has identified 14 priority areas of cooperation – including trade and investment, transport and communication, energy, tourism, and fisheries – and each member country has been given the responsibility of leading at least one of these priority areas. India is leading transport and communication, counter-terrorism and transnational crime, and environment and natural disaster management. The most important driver should be the BIMSTEC Free Trade Area. While a Framework Agreement has been signed, it has yet to come into force. Member countries should not only conclude their negotiations on trade regarding goods but they should also quickly expand their scope to services and investments as it has been envisaged in the Framework Agreement. Physical, institutional, and people-to-people connectivity should be the cornerstones of this cooperation. The question is should India put more political and economic weight into BIMSTEC than SAARC, and the answer is yes. As compared to five percent as in the case of SAARC, intra-BIMSTEC trade as a percentage of their total trade is close to 7 percent. In 2007, India’s total exports to BIMSTEC countries was $7.8 billion and in 2013 it increased to $19 billion, while during this period its imports from this group increased from $5.7 billion to $8.3 billion. Thus, India’s positive trade balance with the BIMSTEC group of countries is growing, with Bangladesh and Sri Lanka among its top 25 export destinations. This intra-regional trade is expected to grow at a faster rate as evident from a report titled “BIMSTEC Transport Infrastructure and Logistic Study” conducted by the Asian Development Bank. In this context, India needs to focus on three key areas. First, India needs to put more political capital into sorting out its bilateral issues with other BIMSTEC countries, particularly with Bangladesh and Sri Lanka. This is an imperative for converting India’s “Look East” policy to “Act East.” It is important to note that Bangladesh also has a “Look East” policy, while Thailand has a “Look West” policy. Myanmar is increasingly realizing its potential as a bridge between South and South East Asia, and Sri Lanka is keen to play a more proactive role in and around the Bay of Bengal. Bhutan and Nepal, two land locked countries in this group, are looking forward to bettering their connectivity to diversify their trade base. Second, India should be more proactive in concluding negotiations on goods in the BIMSTEC Free Trade Area and should quickly start negotiations for a comprehensive economic cooperation agreement on goods, services, trade facilitation, investment, competition, public procurement, and other areas of trade-related cooperation. A quick conclusion of a goods-only FTA is possible because India is already implementing an FTA with Sri Lanka, an “Early Harvest” (goods-only) trade agreement with Thailand, and has offered duty-free access to the least developed countries: Bangladesh, Bhutan, and Nepal. Such offers can be extended to Myanmar, which is another LDC in the group. A comprehensive economic cooperation agreement among the BIMSTEC group of countries will help many of these least developed countries graduate out of their LDC status. Third, while negotiating a comprehensive economic cooperation agreement, the BIMSTEC group of countries should see how they can have positive spill-over effects on their priority areas of cooperation. For instance, there should be special efforts to see how a regional solar grid can be established. Given their geographic locations and climatic conditions, a regional solar grid is possible and it could be an important component of regional energy security. Considering this zone of possible cooperation, India and other BIMSTEC countries should strive to improve physical connectivity through trade facilitation infrastructure and measures as well as institutional connectivity through the convergence of rules, regulations, policies, and procedures for cross-border trade and investment. Together they could facilitate better people-to-people connectivity. 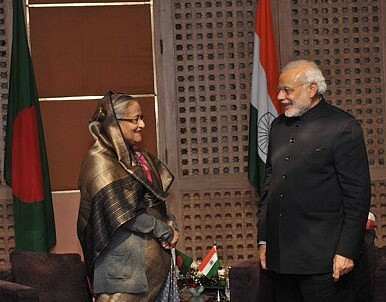 Therefore, in view of changing geo-political developments in Asia and the Pacific, it is time for Indian leadership to understand the importance of the Bay of Bengal and the role that regional economic integration among the BIMSTEC group of countries can play in furthering strategic and security objectives with eastern and south eastern neighbors. Strong leadership in the Bay of Bengal region, based on trade and investment cooperation, will not only help India better secure strategic products such as oil and gas but will also be a step in the right direction to playing a more proactive role in the Indo-Pacific region. In short, there is a strong political and commercial case for India to put more weight behind BIMSTEC. Given the geo-strategic importance of the BIMSTEC group of countries, it is imperative for India to adopt a more accommodating, pragmatic approach towards this regional group. To begin with, the Indian establishment should immediately create a dedicated BIMSTEC division in the Ministry of External Affairs and the Department of Commerce. BIMSTEC can't carry the weight of regional cooperation, but SAARC can.